Christmas 2018 starts right here! If you’re looking for a festive venue to organise a merry and memorable Christmas party for your office, you’ve landed on just the right page. Here at Christmas Venues London, we take Christmas party planning very seriously indeed. We offer a FREE venue finding service for all types of business events, meetings and corporate venues, as well as for private functions and weddings. Christmas Venues London has a vast and wonderful array of London party venues for you to choose from. Our friendly and experienced team of venue finding elves are only a phone call away – why not call us on 020 7186 8687 for a fast and efficient service to help you fulfill all your Christmas party venue wishes? When it comes to festive venues for Christmas parties in London, you really are spoilt for choice. 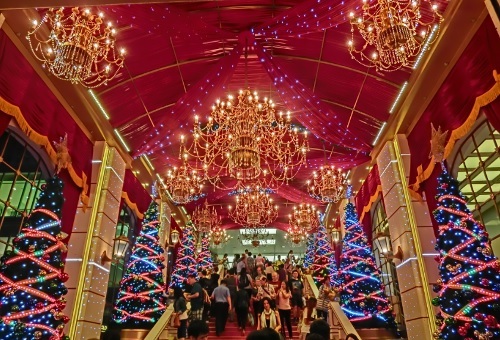 The capital has a Santa’s sack full of magical and wonderful event spaces, so there’s something for everyone. Are you looking for a jaw-dropping location for the ultimate winter wonderland themed Christmas party? Fancy Christmas cocktails on a rooftop City nightclub, complete with dancing through the night? Buffet-style informal mingling in the rustic surroundings of a traditional pub? Fine Christmas dining in an upscale London hotel? Whether you are planning a shared all-inclusive Christmas party with entertainment, are searching for an exclusive Christmas party venue or are looking forward to all-out Christmas fun with a themed Christmas party venue, Christmas Venues London are here to help. 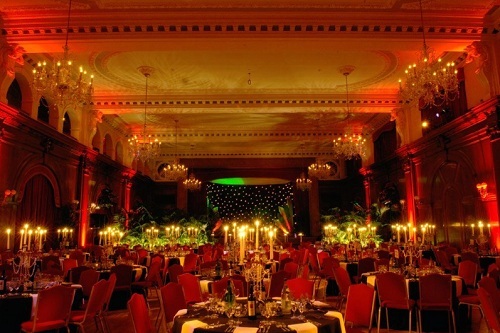 For the ultimate in flexibility to create a truly tailor made and totally unique solution for your Christmas event, we can help you source the perfect blank canvas venue where you provide everything yourself, as well as venues where catering is included and you are free to organise your own entertainment. Whatever your company decides to do for Christmas, it is possible – trust Christmas Venues London; we’ve probably already done it! At Christmas Venues London, our professional team carries out quality control vetting on a regular basis to ensure all venues match our exacting standards. We want our clients to be nothing less than thrilled with their Christmas party booking. We know that Christmas comes but once a year – which makes it all the more special. It’s why your company Christmas party should be the highlight of the year. If you’re concerned about the extra workload of putting together a glitzy Christmas event, don’t be – that’s where Christmas Venues London comes in. Let us be your Santa’s little helpers to make sure your choice of venue is nothing less than perfect. Our experienced and dedicated venue finding team will work with your particular requirements including budget, location, theme, guest numbers etc, to find the perfect venue that really captures the spirit of Christmas. We can offer as much or as little support as you wish – from our first telephone conversation all the way through to the day of the Christmas party. You’ll love our ‘can do’ attitude to assist you in any way we can. Whether you see us as Santa’s reindeer doing all the hard work, or your Christmas angels adding a little sparkle to your corporate Christmas event, we really don’t mind. We’re just glad to be of service. At Christmas Venues London, all our services are provided free of charge – and not just at Christmas! What’s more, by booking with us you can save money not just on this year’s Christmas party booking, but on next year’s too! How’s that for an extra present? Thanks to our many years’ industry experience, we have some of the best contacts in the field and a huge amount of commercial clout. Wat that means is that we can negotiate some Christmas cracking discounts and price packages just for you. Our company is a fully independent business with no ties to any of the organisations that we work with. This enables us to be 100% transparent and totally impartial in the advice we give, tailoring our service to no-one other than each individual client we serve. Choose from our vast portfolio of corporate London Christmas venues including hotels and restaurants, nightclubs and bars, as well as museums & art galleries, historic venues and unusual event spaces, to capture the magic of the season and the excitement of your festive celebrations. We can help you deliver spectacular venues for any need including global cuisines to tingle the taste buds and the most awesome corporate Christmas venues for a real sense of occasion. This year, why not do something different and celebrate Christmas on a river cruise, or book a Christmas themed company breakfast? The professional team at Christmas Venues London carries out constant checks and updates to available venues to make sure that our stringent quality standards are met in full. This gives our clients the peace of mind of knowing that every venue is a first-class venue. 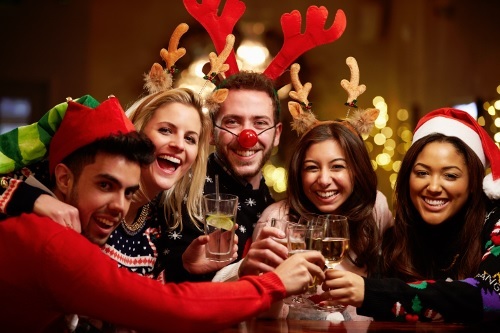 Our team will work with your individual requirements – theme, number of guests, type of event, budget etc – to help you find the perfect Christmas party venue in London and beyond – for free. The 2018 Christmas Party Season is underway – don’t delay, start planning your perfect Christmas party today! If you’ve left your Christmas party planning to the last minute, don’t panic. You’ve come to the right place. At Christmas Venues London we pride ourselves on our FREE venue finding service. Our workshop Elves know all there is to know about London’s party venues, and we’ll be sure to find the right space for you, even this late in the day. Our vast portfolio of Christmas venues, along with our industry experience and exceptional list of contacts in the field, mean we’ll have no problem finding you a last minute booking. We are experts in the booking of Christmas Venues. Our dedicated team are exceptionally experienced at seeking out last minute bookings and are constantly checking for updates to available venues. We know every trick in the book about festive venues and corporate parties. We love to make the impossible happen. We have our finger on the pulse when it comes to seeking the perfect venue in London for your Christmas Party. Whether you are looking for a fancy cocktail do at one of London’s hot night spots, fine dining in a luxury private function room, or an informal gathering in a traditional London pub, you can be sure we’ll make it happen. With our personalised service we’ll help you capture the magic of the festive season with no fuss. For all of your festive corporate events, from Christmas lunches to New Year’s Eve Extravaganzas, let Santa’s little helpers at Christmas Venues London take the strain out of your corporate Christmas nightmare. Call us on 020 7186 8687 now. We’ll get your perfect Christmas party organised in the blink of an eye. For plenty of expert advice and a free venue finding service to help you find the best Christmas venue in London, contact Christmas Venues London today. Let us make your Christmas venue wish come true – give us a call on 020 7186 8687 or fill in the form below.